If you want to enable Secure Boot for Windows or any other OS that supports Secure Boot, UEFI firmware is a requirement. Support for Secure Boot was first introduced in vSphere 6.5 and here is a blog post that gets into more details. In addition to Secure Boot, both Windows 10 and Server 2016 also supports a new security capability from Microsoft called Virtualization-based Security (VBS) which in-turn is used by other features such as Credential Guard for example. To be able to leverage these capabilities, UEFI firmware is also required. Note: The ESXi Hypervisor also supports Secure Boot for itself, for more details check out this blog post here. OK, UEFI sounds great, but what if you have Window VMs that had been configured with BIOS firmware? Is it as simple as just reconfiguring the virtual hardware? Well, prior to Windows 10/Server 2016, the answer was no and you had to re-install the Windows OS as you could not simply update the Firmware while preserving the OS. As you can imagine, this was quite painful as you then needed to schedule extensive downtime to transfer the data and then re-build the system. With Windows 10 or newer, Microsoft now has a supported method to convert an OS disks using Master Boot Record (MBR) to a GUID Partition Table (GPT) which UEFI requires. The tool is called MBR2GPT. In the example below, I will be demonstrating the conversion process for a Windows 10 VM that was deployed using BIOS firmware. 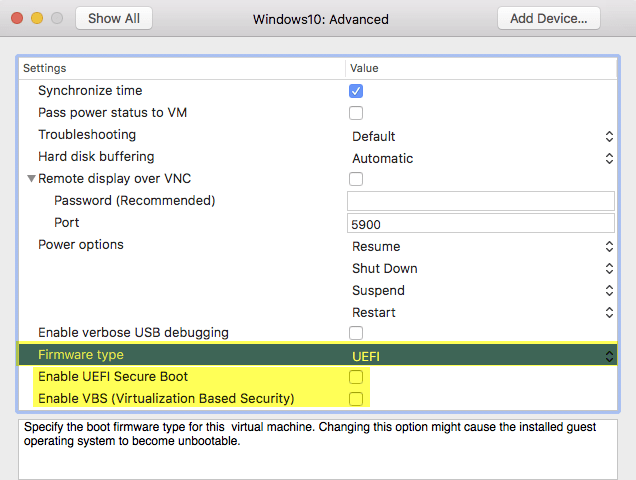 Since vSphere currently only supports Secure Boot and not the VBS feature, the instructions below will based on VMware Fusion (but the process to enable Secure Boot is also applicable to vSphere). Both Fusion 10 and Workstation 14 have added support for both Secure Boot and VBS, but vSphere customers can also benefit by enabling Secure Boot for their Windows 10/2016 VMs. The conversion process pretty quick and once it has completed, go ahead and shutdown the OS. Step 4 - Reconfigure the VM's firmware from BIOS to UEFI. For vSphere VM, ensure you have vHW13 and for Fusion/Workstation make sure you have vHW14 before you can enable Secure Boot. 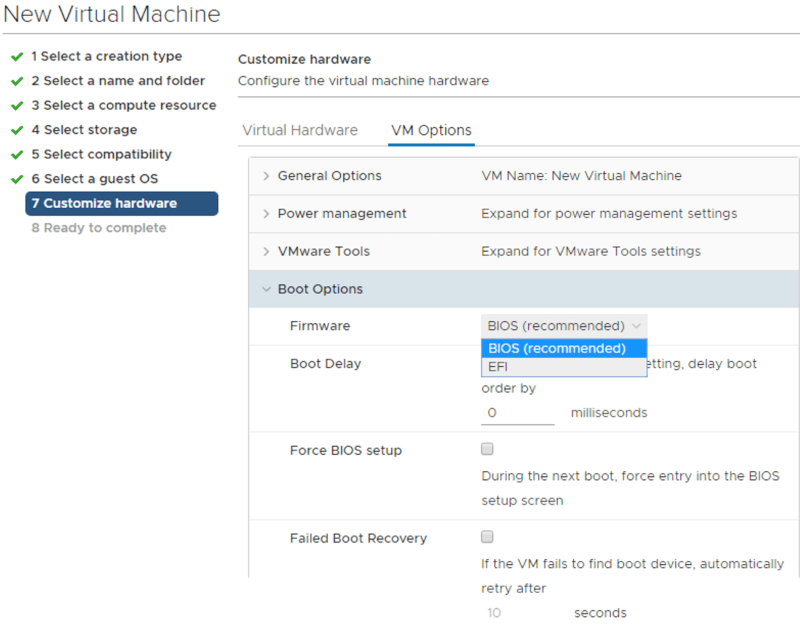 To enable Secure Boot in Fusion, the settings are located under the Advanced for a VM and for vSphere-based VMs, it is under the "Boot Option" as shown in the screenshot above. If you are using the latest version of Fusion/Workstation, you also have the option to enable the new VBS feature, simply check the box and the feature can now be consumed within Windows 10 and Server 2016. Once you have saved the changes, go ahead and power on the VM. As you can see the process is pretty straight forward and OS re-installation is no longer required if you had defaulted to the BIOS firmware which is currently the default if you create a new Windows 10 or Server 2016 VM in vSphere. I have been told that the default firmware version will change to UEFI in a future update of vSphere but for backwards compatibility purposes, we can not simply change the current default. This is something to aware of when provisioning new Windows 10/2016 VMs by either including this information in a runbook, leverage a VM Template or via Automation in which you can control the firmware type. Be sure to check your storage vender best practices. There is a setting for, I think, maxdiskblocksize. If over 4096 then uefi vm’s might not boot. Please check the highlevel workflow again. It appears that there is an error in Step 1. If the VM is shutdown in Step 1, you can’t do Step 2 :). 6.5 doesn’t support VBS or Credential Guard. Thanks for posting the links to the blogs I wrong. 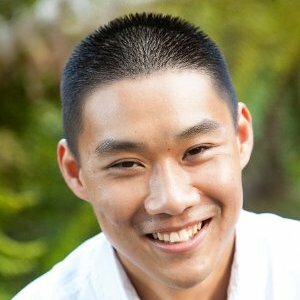 Hi William, any idea when a BIOS/UEFI option will be added to vCloud Director for Service Providers? Was disappointed to see the newly released v9 still doesn’t make this selection available to tenant Organization Administrators, even when the underlying vSphere is 6.5 Update 1. Hi all. Does MBR2GPT.exe work on Server 2016? I’m running version 1607 (build 14393.2035) and MBR2GPT isn’t even on the Windows\System32 directory. I tested by copying the file from a Win10 machine, but get the “Layout conversion failed. Error: 0x00000032” error. Curious how others have made this work on Server 2016. Did you find a way to do this? I have the same issue. No MBR2GPT.exe in Server 2016. Yes, but you can’t do it from within 2016 OS itself. I tested successfully by booting a 2019 VM into recovery mode (command prompt), attaching the boot disk of the 2016 VM and running MBR2GPT by specifying the correct disk number – use disk part > list disk to check. It validated and converted fine. After detaching the disk from the 2019 VM and switching the 2016 VM to use UEFI it booted up fine with all data intact. Note that MBR2GPT does appear to create the ESP partition as the last partition, therefore making it harder to expand the boot disk in future.